One of America's favorite hit teen dramas, Gossip Girl, is infamous for the some of the best fashion seen on television today. 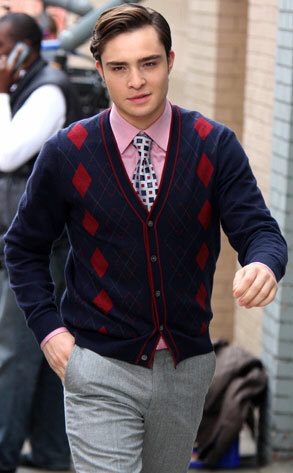 Some may argue that Blair Waldorf or Serena Vanderwoodsen have the best outfits on the show, but I say otherwise. 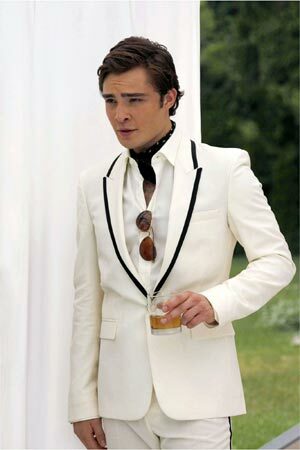 Chuck Bass, played by the handsome Ed Westwick, definitely knows what's up when it comes to his clothing. You can always see him dressed to kill on the show, usually wearing nice suits and other formal attire. When I think of a suit I think of black and white and nothing else to it. 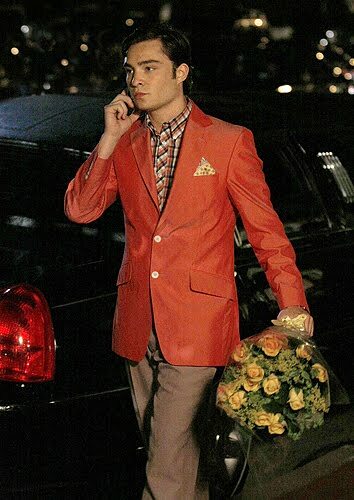 Chuck Bass always defies the stereotype, spicing up his wardrobe with different colors and his own unique style. 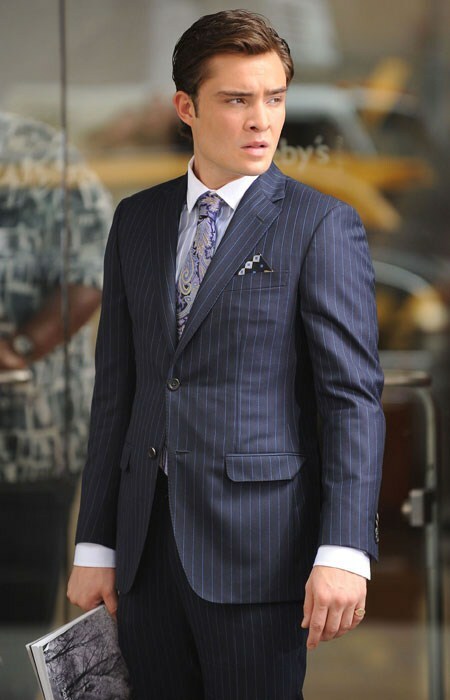 Chuck Bass always means business, whether it be in his work, love life, or closet. I completely recommend that guys use him as inspiration on how to dress. 'Til next time, fashionistos/as! Although Marie Antoinette is set in the Pre-Revolutionary Era in France, I can't help but to be inspired by the colors and details of the gowns from both the film and the actual woman. 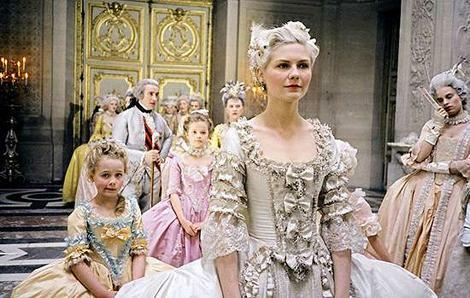 Played by Kirsten Dunst, Marie Antoinette is known for her frivolity and whimsical appreciation for the finer things in life. In the 2006 film by Director Sophia Coppola, Marie is costumed in a variety of bright colors with excessive amounts of lace, beading and feathers. The movie won an Oscar for Best Achievement in Costume Design. Angelina Jolie usually leaves a bad taste in my mouth when I hear her name, however, her costumes in her latest film the Tourist were to die for. I really enjoyed how well she played a tough secret agent. Her style was definitely more agent provocateur! 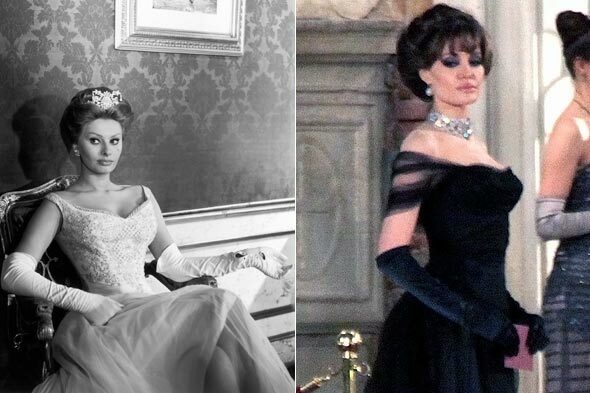 Throughout the film, Jolie dawns gorgeous gowns complete with the stunning centerpiece, a white gold and diamond choker by Robert Prokop, channeling her inner Sophia Loren. Not only does Jolie look amazing in her evening wear, but the costuming of the film included some very chic and classic day looks for our Heroine as well. 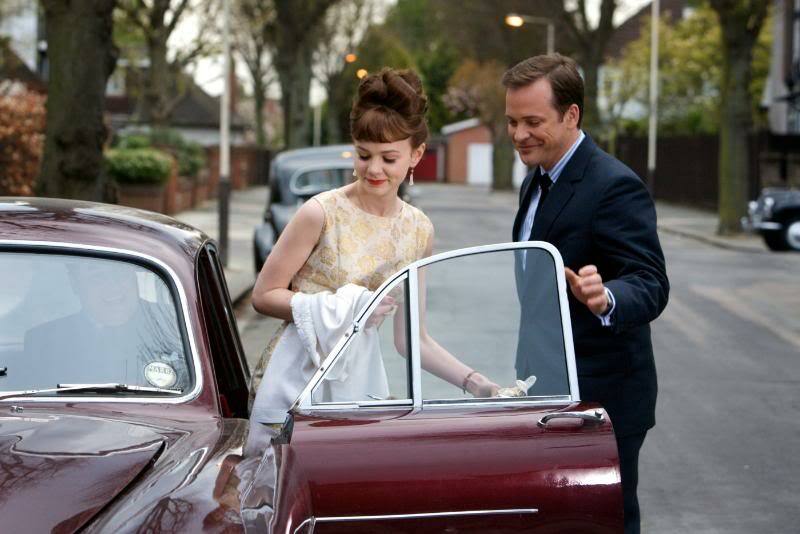 Carey mulligan has won me over since last summer in her charming film, "An Education". Not only was it such a lovely movie, the fashion throughout the movie makes me swoon every time I watch it again! 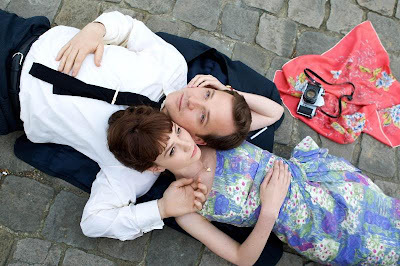 The movie is set post-war and so the fashion is really spot on the 60s, truly inspiring. On the runway for Spring 2011 and even Fall 2011, we can still see that almost every collection has very simple chic and glamorous silhouettes inspired by the 60s. It's just something about that period that makes it so precious to be a repetitious trend. One classic movie I will never grow sick of is The Devil Wears Prada. I love all the actors and actresses in it, the timeless lines and the fantastic wardrobe. Patricia Field creatively stretched the wardrobe budget to create couture looks and partnered with many designers and brands to make the movie completely fashionable, as it should be since it centers around a fashion magazine. So jealous of the over the knee boots, mini, and blazer combination! Would die for this sleek white jacket and thin gloves! The emerald green coat with leopard trim is amazing! The bold red lips made this evening look gorgeous and dramatic! I know its an old movie but for the longest time "Uptown Girls" was my favorite movie ever. My favorite piece of clothing she wears? Her birthday dress! The purple clip she wears is actually a lampshade and I just think it looks so good! I have always wanted this dress because its so pretty and just different enough. But until I find it, i'll just keep admiring hers and wondering why when I break things, can't turn them into hair clips! 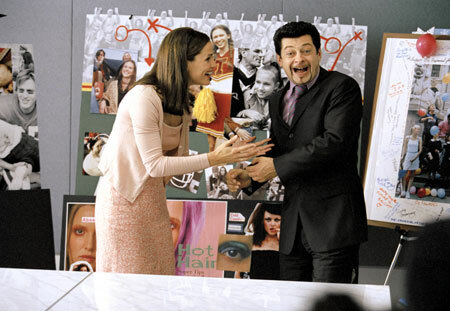 To be honest, I know that 13 Going On 30 isn’t necessarily a fashion-driven film with memorable pieces and outstanding looks, but I always seem to notice it myself when I watch it. Jennifer Garner always seems to look so careless, pretty and put together, even when she’s in a sloppy, laid-back scene. The beginning of the movie is created around the 80’s styled clothes. They’re so youthful and cute and are definitely reminiscent of the stereotypical 80’s teenage girl. It’s hard to overlook that aspect. But over the course of time as Jenna Rink (Garner’s character) is growing up, she begins to put herself together in a mature, yet young way. Her makeup is simple and her hair is less than outgoing, but it’s professional and basic. (Yes, everything seems basic in this blog post!) Somehow there’s the middle ground and it's just enough to go with the rest of her style. She has more of the realistic everyday look that women can strive for and ultimately have on a normal basis. The clothes and basics that Jennifer Garner wears in character are so easy to pull off. She’s simple, eye-catching, fun, and business-like. She wears versatile pieces- some modern and funky, and some classic and modest. To reiterate, I realize that there are other actors and actresses that dress much more trendy and unique, but I thought it was note-worthy to mention how even the simplest of pieces and basic styles can continue to be fashionable. Other than the fact that it’s one of my favorite movies, I love how they mesh her character together with her physical appearance. Her style is so believable. Dress how you feel comfortable. Dress for your job, your school, whatever it is you do. Dress how you want to dress. One of my all time favorite movies is hands down 500 Days of Summer. It is such a sweet story about love and it is accompanied with such a darling wardrobe. The wardrobe was full of vintage and I loved every second of it. I have never been a huge fan of vintage until I saw this movie. Zooey Deschanel is jaw-dropping gorgeous all the time. With her dark hair, thick bangs, and bright blue eyes she is a classic beauty. 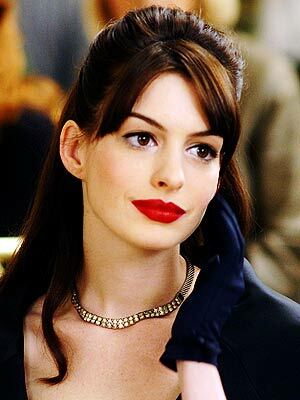 In this movie, she especially wowed audiences with her effortlessly chic style. Everything she wore was classic with vintage undertones. Waistlines were high, hemlines were long, and shoes were flat. It screamed 1940s. From all the ruffles, to her bowed headbands, to her simple frocks this is my favorite film wardrobe and it continues to inspire me daily. 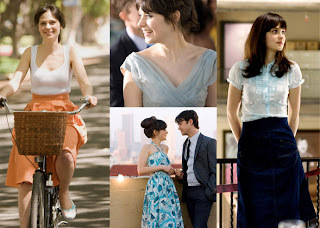 Due to her amazing blue eyes, in the film Zooey was mostly seen in light, pale shades of blue and it was a great compliment to her dark hair and fair skin. She is not only breathtaking in this movie but in real life too. I am currently on the hunt for the perfect blue, ruffled frock. One of my favorite TV inspired fashion actresses is Silver from 90210. Most of the girls typically dress really cute. Mostly LA inspired, with Ivy as the hippie and Naomi as the rich-Bev Hills girl. I like Silver's style because she always gives it an edge. Aside from the fact that she's quirky, she has a lot of good looks that remind me of things that I would personally wear. Her outgoingness is what makes her looks more enjoyable than the typical casual LA look. Even though she has this edge to her, she is also very much like a chameleon. Her looks are constantly changing from edgy chic, to free-spirit, to LA casual, it's why I admire her style so much. She looks good in anything! 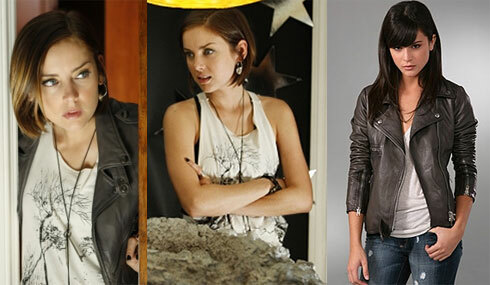 In real life, Jessica Stroup looks simply amazing when dressing up. 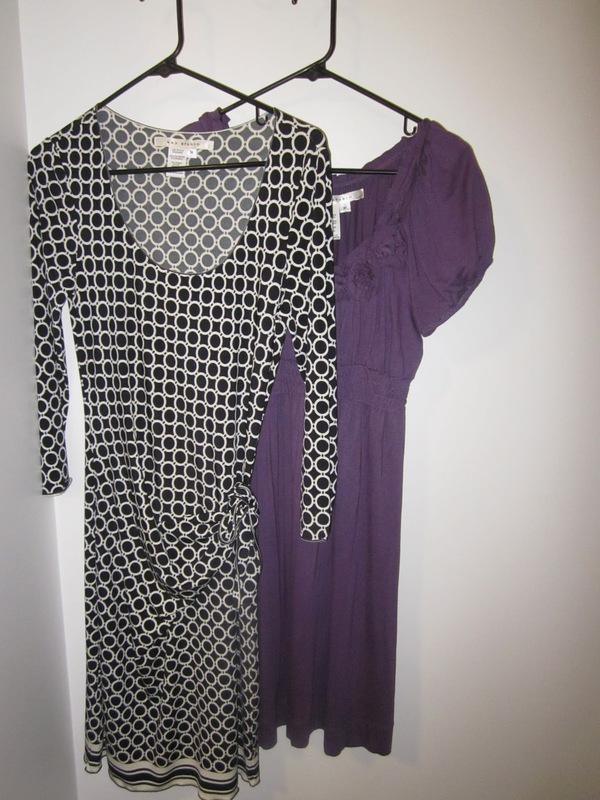 Here she is wearing (left to right) Badgley Mischka, Jill Stuart, and Pamella Roland. Diving head first, this Russian-born American designer, has made a big splash in the fashion world. In fact, he's even made his way into that little dorm closet of mine, being that I am a college fashionista on a budget, Max has come to the rescue. 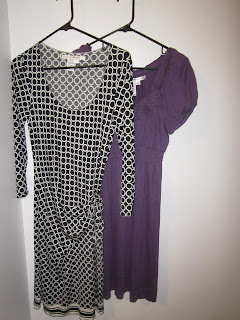 Max has created a line, Max Studio, that includes a variety of chic, classy, comfortable, and affordable pieces. Take a dip into Max's Studio; you may fall in love as much as I have. Hello bloggers! I was really excited about this week's theme, and being able to share my personal favorites! I don't know about you guys, but I enjoy unique looks, colors, and patterns that are flashy and always catching people's attention. Therefore, my favorite label would have to be Heatherette. 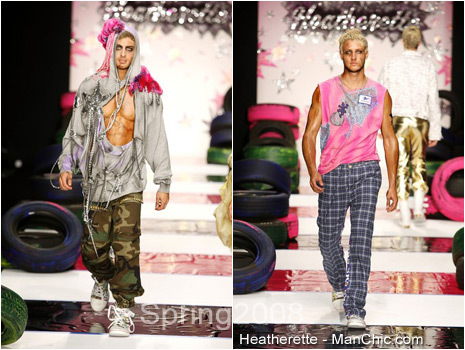 Heatherette was featured on the third cycle of America's Next Top Model as the designer for a fashion show contest. They were on Project Runway when contestants had to make costumes for WWE Divas. They even partnered up with MAC Cosmetics to collaborate on a collection "Heatherette for MAC". They're looks are one of a kind, and full of vibrant colors, and out of the box designs! One young designer that I’ve lately been hearing more and more about and who has been establishing quite a name for himself in the industry is Alexander Wang. I love his simple, casual- cool sense of style which is something that I try to project into my clothing. Wang incorporates stylish pieces that do not give off an impression of someone who is trying too hard. His style is still modest by never showing too much, but just enough. I love it! Phillip Lim is an absolutely amazing designer that was born in Thailand and has managed to make an amazing imprint in the U.S. fashion industry. His looks are versatile and always flattering. He is known to often pair a jacket with each look. His looks vary from simple to very different but they are always structured very well. Lim's spring 2011 collection included many fun and beautiful dresses along with all of his other looks and I thought he did an amazing job of making the dresses funky-looking while not looking too odd. He does a great job of maintaining the soft, feminine look while adding some edge. Phillip Lim's Resort collection from last year was one of my favorite collections of his thus far. The collection displayed the perfect balance of softness and edge and I am absolutely in LOVE. Phillip Lim has continually wowed with his collections and I expect great things to come from him in the future. Carolina Herrera believes in fashion being simple, elegant and effortless. A crisp white blouse is a staple of her personal wardrobe. She harnesses her classic personal style and brings it into her designs on the runway. Her designs are classic and feminine without being too fluffy or frilly. Her belief is that a real woman's style should be classy with a modern twist, pleasing to the eye. Maybe we can follow her example. 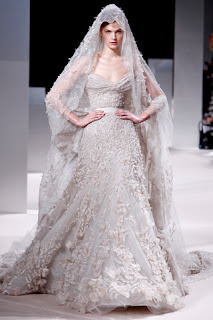 One of my all time favorite designers is Elie Saab! His name is practically synonymous with the Oscars. He has dressed everyone from Angelina Jolie to Beyonce. Saab started his empire in Beirut back in 1982 when he was just 18 years old! But it wasn't until 2002 when Halle Berry wore one of his designs to the Oscars where she won best actress that Elie Saab became a household name. This is a designer who really understands the female form. His designs are soft and sweet but carry enough edge to make them truly unique. All of his pieces accentuate a woman's natural curves without being overbearing and flashy. He loves feminine, flowing lines that are fluid and natural. florals are also a big staple in almost all of his collections. 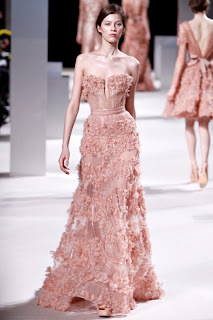 Below are some stills from his Spring/ Summer 2011 couture collection. I personally can't wait to see which star shows up to the Oscars in one of this designer's signature pieces. While Tom Ford is mostly known for his menswear and only dabbling with a few designs for women when working with Gucci, his spring/summer 2011 collection is introducing his own line of womenswear! When looking in this month's issue of Vogue a jewel covered blazer caught my eye and it turned out to be one of Ford's new designs. I am obsessed with this collection from what I have seen so far and am anxious to see whether he will continue creating such stunning designs for women. This dress is one of the many reasons I have fallen in love with Tom Ford's new collection. The tailored fit and the low cut make this design look professional with a sensual edge. I love that the low cut neckline meets with the bow across the front; I think the bow adds for a wonderful transition and all around emphasizes the designs capability to flatter her figure. Much like the blazer I saw in Vogue, this cover is spectacular and is a great representation of Ford's new women's collection. Again, I love the low cut blouse and the large pendant necklace. This new line has an edgy aura to it and I am absolutely in love.